Conveyor Belt Scale Models: What should you buy? ConveyWeigh, LLC. Which Scale Should I Use? 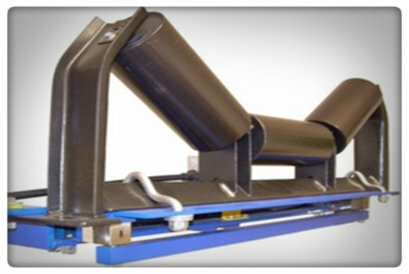 ConveyWeigh offers conveyor belt scales in the one, two, three and four idler models. The more weighing idlers you have in your belt scale increases accuracy. It is a matter of the electronics having more time to do it’s job and adding weigh idlers increases the time the integrator has to sample the weight signal. Determining which belt scale you need depends on how accurate you need it to be. Our single idler model will typically deliver between 1 – 2 % accuracy depending on the quality of the belt, solidity of the belt structure, belt speed, scale loading, belt tension device and wind effect. We have seen single idler scales provide .25% accuracy and we have seen them struggle to provide 2% accuracy. Much depends on the application. We highly suggest that you determine what type real world accuracy you require and then take the time to fill out the Quotation Request and let us review it. We can give you a good idea of how well any particular scale will function in your application. ConveyWeigh stands ready to help you determine which model of our scales will get you to the accuracy level you need. Just give us a call.